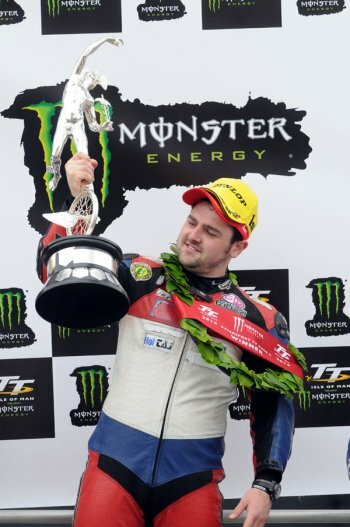 Michael Dunlop joined legendary names Giacomo Agostini, Stanley Woods, Rob Fisher and Ian Lougher on 10 wins when he led the second Monster Energy Supersport TT race from start to finish. Riding his own MD Racing Honda, Dunlop gradually reeled in Bruce Anstey, who started ten seconds in front of him on the road, and the pair circulated together for the second half of the race, the gap at the end 10.089s as the Kiwi, in a display of sportsmanchip, let Michael take the chequered flag first. William Dunlop took third on the Tyco Suzuki. The trend for the 4-lap was set from the off with the two Dunlop brothers and Anstey spilt by just a second at Glen Helen with Dean Harrison only a tenth of a second back in fourth. The early sensation of the race was privateer Ivan Lintin in fifth. Two early contenders were reported as retired on the opening lap - Ian Hutchinson at Glen Darragh Road and Conor Cummins at the Highlander. Michael was able to eke out a slight lead by Ramsey, the gap to Anstey clocked as two seconds as William slipped back to third albeit only half a second adrift of the Valvoline Racing/Padgetts Honda. Harrison was a further two seconds back with Lintin maintaining his fifth place ahead of Australian Josh Brookes and Northern Ireland racer Lee Johnston. 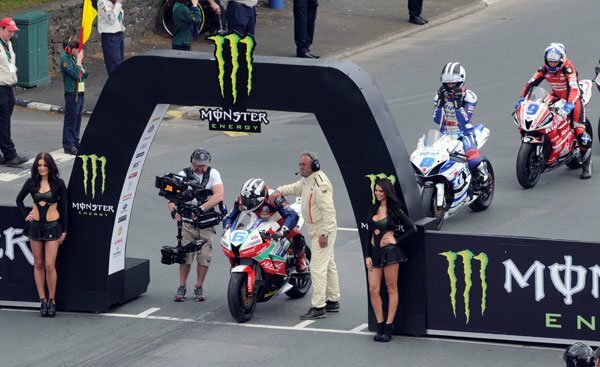 An opening lap of 126.256mph gave Dunlop a lead of 4.5s over Anstey with the top four remaining the same. Brookes overhauled Lintin with Guy Martin, Keith Amor, James Hillier and Russ Mountford, another privateer having a great ride, in tenth. Michael Rutter was an early visitor to the pits though as he made adjustments to the Smiths Triumph. Dunlop had the magnets on Anstey and he was getting closer and closer to his back wheel, the gap at Glen Helen on corrected time second time around 6.9s and by Ramsey, he was with him. With his lead up to nine seconds, he could now afford to sit with Anstey for the remainder of the race. The 25-year old completed the second lap at 127.403mph, the fastest lap of the race, with the official margin to Bruce 9.36s. William Dunlop was six seconds back in third but was looking more secure in the position as Harrison was now also six seconds behind. Brookes and Lintin continued to hold station in fifth and sixth. There was little change over the remaining two laps as the leading contenders were all secure in their positions but there was drama on the final lap when Brookes and Lee Johnston, holding onto fifth and seventh respectively at Ramsey on the final lap, went out after an incident at Creg ny Baa, fortunately both escaping injury. At the head of the field though, there were no such problems and with Anstey showing great sportsmanship in allowing Dunlop to cross the line first, he took his third win of the week, and tenth in total, ahead of Anstey and brother William. Harrison took another good fourth place finish with James Hillier enjoying a better race in fifth, eleven seconds clear of Keith Amor who made steady progression up the leaderboard throughout the race. Lintin took seventh, and was comfortably the first privateer home, with Dan Kneen, Dan Stewart and Guy Martin filling the remaining top ten positions. The results mean Michael Dunlop is now a clear leader in the Joey Dunlop TT Championship on 91 points followed by Anstey (69) and Harrison (54). 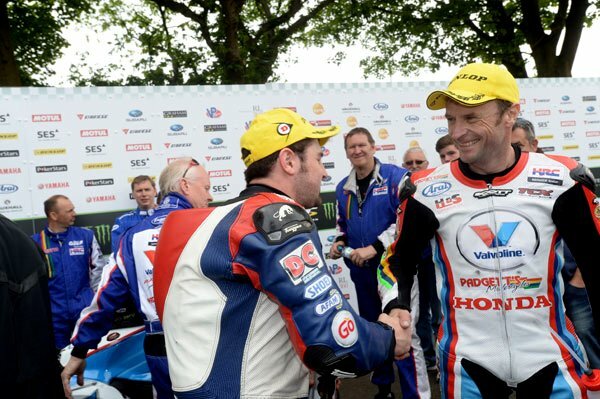 Anstey needs to win Friday's Senior to have any chance of overhauling Dunlop. Lintin’s second maximum haul of points has seen edge closer to the TT Privateer’s Championship as he’s moved on to a total of 81 points – only second placed Russ Mountford (64) can now overhaul him.